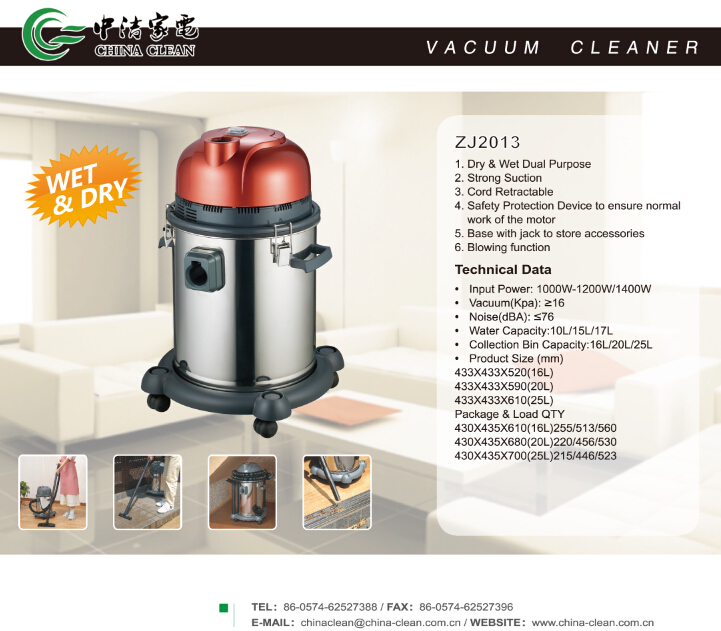 Product categories of Bagged Vacuum Cleaner, we are specialized manufacturers from China, Dust Bag Vacuum Cleaner, Vacuum Cleaner With Bag suppliers/factory, wholesale high-quality products of Bagged Vacuum Cleaner R & D and manufacturing, we have the perfect after-sales service and technical support. Look forward to your cooperation! 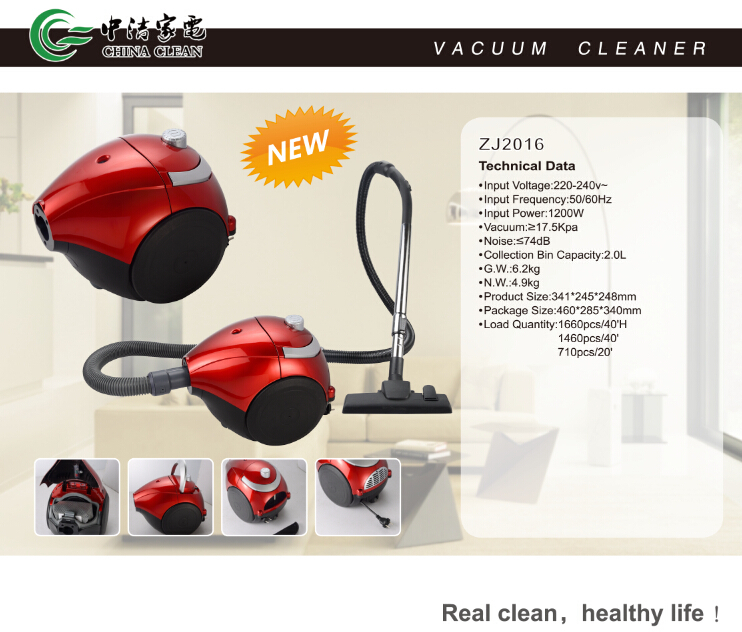 This kind is Bagged Vacuum Cleaner. 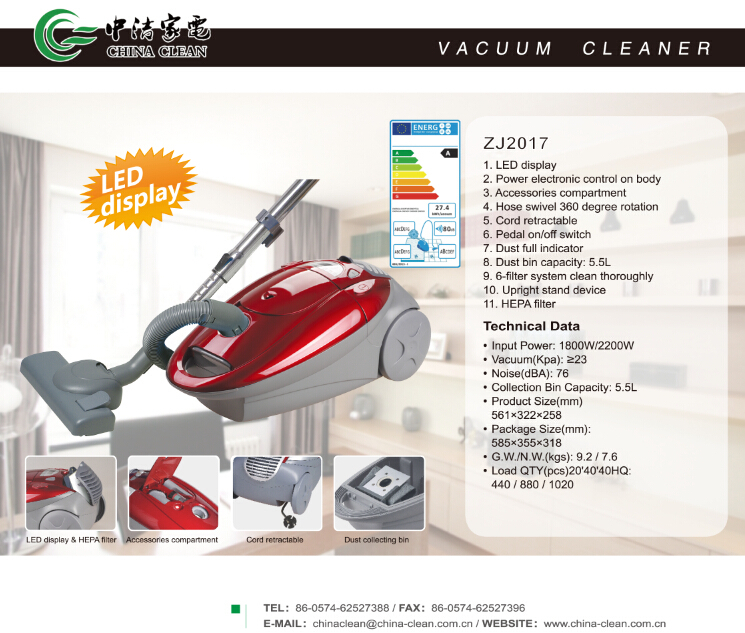 It is a Vacuum Cleaner with high suction. It has accessory storage on the unit. It also has safety valve to protect motor. 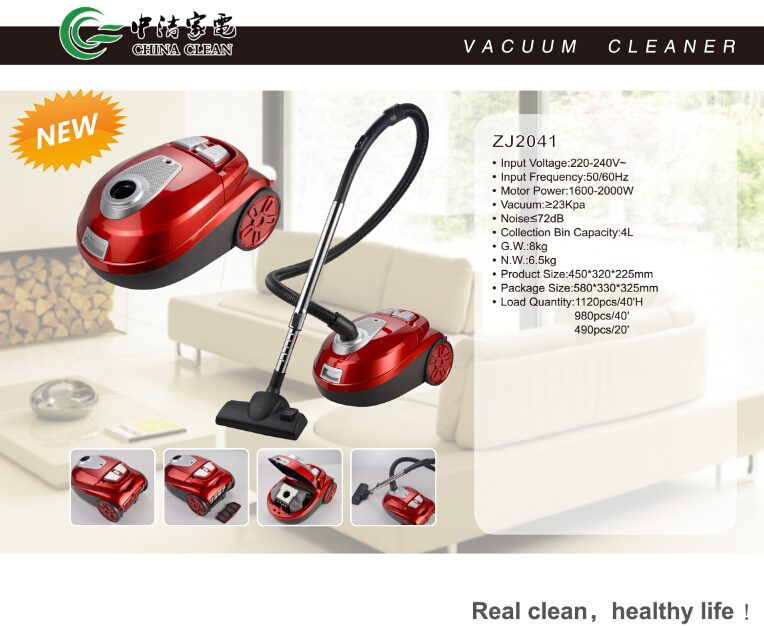 It's a vacuum cleaner with top quality with gorgeous looking. 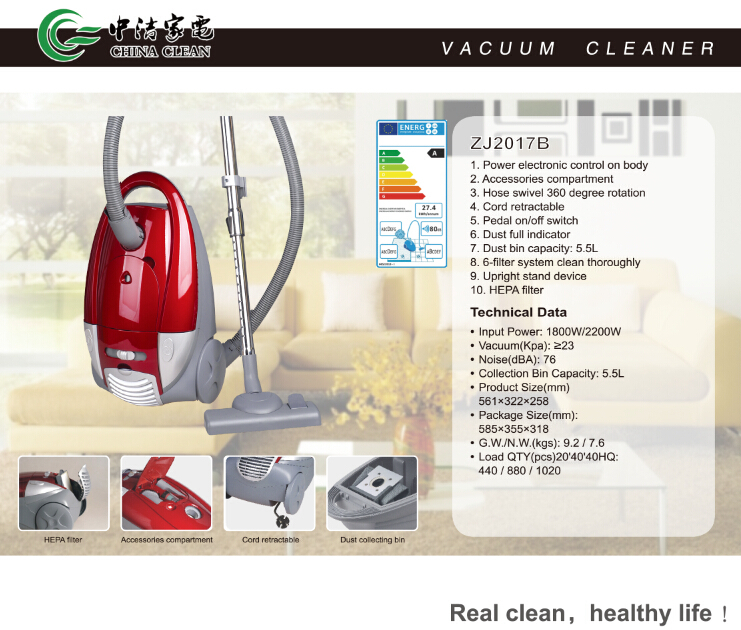 Its airflow control is on handle and speed control is on unit. 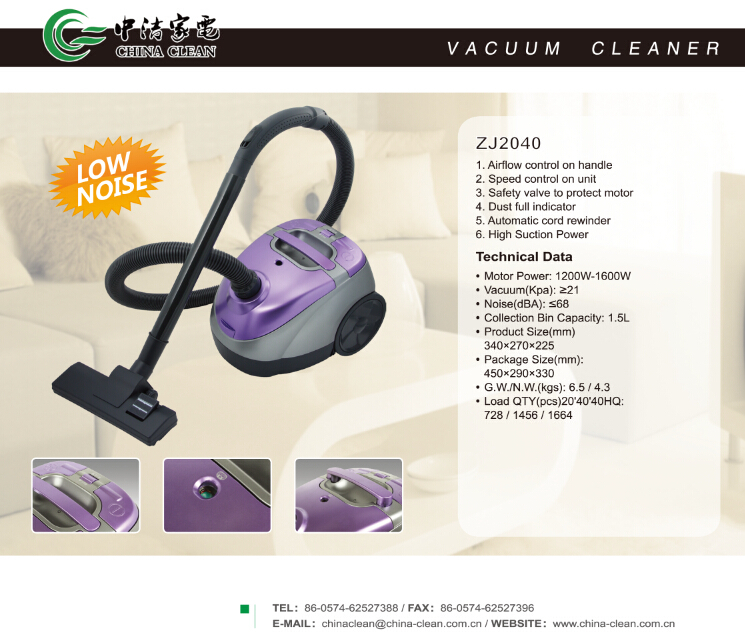 It also has automatic cord rewinder,then you will use very easily.